I write historical fiction, and I love the beautiful images past times evoke. 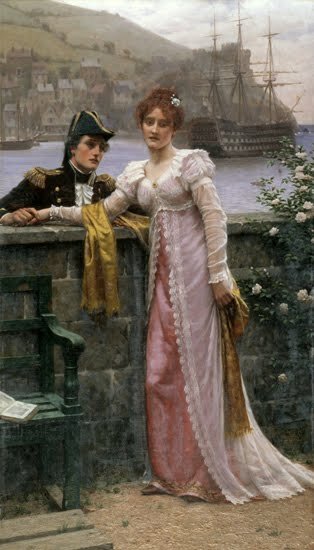 I love the clothing – women in bustles and corsets, or high Empire waistlines or the tall, veiled hats of the middle ages or cowboys in boots and spurs, knights in armor, or Regency Beau Brummells. I love the living spaces – English castles and country houses and ante-bellum mansions of the Old South. I love the manners and the social conventions that characters uphold or break and the consequences when they do. I love the "other-ness" of how people lived and worked and ate. I sometimes think I'd like to live in in the beauty and pageantry of one of those far-off times, but that usually lasts only the brief seconds it takes for me to consider what that would really mean: no modern conveniences. Some are just that, conveniences. Yes, we all survived just fine before there was an internet or satellite TV or digital cameras. What about the more important things? Yes, I'm talking about air conditioning. I'm a big baby when it comes to the heat. Don't make me get out in it. Don't make me sweat. But air conditioning is a relatively new luxury. 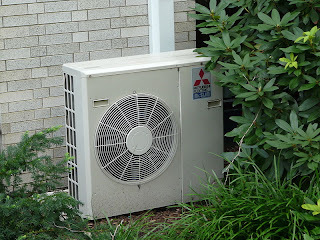 Of the roughly 2011 years just since the birth of Christ (I won't even mention the thousands of years before that), air conditioning even in its crudest form has been around for only 105 of them. That's roughly five percent of the time. In 1906, Willis Carrier patented his invention for combating humidity in a printing company, calling it an "Apparatus for Treating Air." That same year, Stuart W. Cramer coined the term "Air Conditioning." Things have just gotten better since then. In 1914, Carrier installed the first home air conditioning in a mansion in Minneapolis at a cost of $10,000. That's a whopping $214,977.19 in 2010 dollars! The U. S. House of Representatives got air conditioning in 1928, followed by the Senate in 1929 and the White House in 1930. 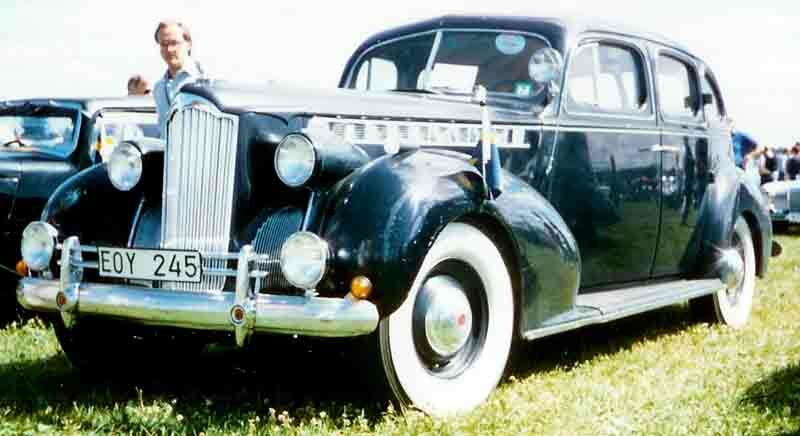 It wasn't until 1940 that Packard offered an option for automobile "factory air." After World War II, the demand for room air conditioners skyrocketed, and central air conditioning became common in the 1950s and '60s, enabling the continuing population growth in the southern part of the United States, making even Texas in summer bearable. Don't get me started on plumbing. What modern conveniences could you just not do without? How well would you have survived in a different time period? That's so true! I also think when I fantasise about living back in the days, that there was no deodorant, no toothbrushes... people would have smelled!! I am very grateful for electric blankets. Nothing like getting into a warm bed on a chilly night! Hmm...I'm thinking early 1300s here. As for a peasant or a worker in a town, no way, not pleasant at all. But as for nobility, at that time many castles had plumbing systems. Add to that they're coming out of the "little ice age," so the summer's shouldn't be too hot, and the fact that they have servants to go to great lengths to keep them comfortable, I'm thinking not too shabby. Even the clothing at the time was loose and flowing. And they were switching from full wimples to smaller hair coverings and coronets that I could have totally handled. They even had teeth scrapers and certain cosmetic items. As for the pageantry, dancing, entertainment, food, drink, etc...they all sound pretty fun. I would have to be one of those naughty noble women who ride on horseback, though. Don't worry, I'll be in plenty of good company. Well, yeah, being nobility is always better than being a peasant, but ummm . . .
Actually, what's really scary is medical stuff. Burst appendix? Breech birth? Head injury? But I wouldn't mind going to LOOK for a while. That would be cool. Totally agree. The medical situation was horrendous. Ooh, fun post, DeAnna. I'm the same way. As romantic as my favorite historical periods sound, I don't know how well I'd adjust to the lack of regular bathing and dental floss. Or antibiotics. Take me with you in your time machine for a look around, though, DeAnna! I think what gets to me is the amount of LABOR that was involved just for day to day tasks like cooking and laundry and so forth. I barely find enough time to do those things now, with all our conveniences. But I do wish we could pick the clothes we wear out of any period in history without folks thinking we're crazy. Definitely the medical and hygiene part of things. I can handle rustic. I don't have AC and I use a coal stove in the winter. I've lived without plumbing for short periods of time. One modern convenience that is a luxury is recorded music. Deb, you're so right. I never thought of recorded music as a luxury, but I know it would be so tres. Difficult to go without listening to the radio or mp3s. Along those lines, would we consider books a modern convenience? Oh perish the thought of a life without books. I can't even imagine, and yet I know there are people with no books to read. We are so lucky. I say this as I'm curled up in my electric blanket. Yet another item that would be hard to forget we ever had. Okay, everybody, you all need to understand how MY time machine works. Yes, you get to see all the beautiful places and events, the clothes and the banquets and the pageantry. But you absolutely do NOT have to wade through a street full of horse "blessings" and waste thrown out of windows. Handsome princes have clean teeth and fresh breath. You can eat the food without worrying about getting sick from it being out too long. And, Suz, there's always a glorious full-orchestra, event-appropriate soundtrack in the background, including a 140-voice choir. Great post, DeAnna. I spent a lot of time in outhouses and pumping water from a well - both in our Canadian summers and winters - to appreciate the luxury of running water. I've also split cords of wood for cooking and wood stoves. Since water is a factor in all those things above except splitting wood, I'd have to say that the lack of running water would hit me the most, because they all take so long to carry out especially in our Canadian winters. Having said that, I'm going to find another bottle of water to replensh myself. Yay! for modern conveniences. I'm impressed. Really, really impressed. I always suppose I could do whatever I had to in most situations, but since I don't HAVE to, I'm SUCH a helpless baby. I'm beginning to learn that the Division between 'peasant' and nobility' does not truly reflect the social strata of Medieval life. Certainly the unfree serfs and villiens, who are what most people mean when they say 'peasant' had a hard time, but there were many people who were not Nobles but were Free, could be quite wealthy with a good standard of living. Merchants, traders and craftsmen (and women) apprarenly did quite well for themselves. The Medieval Middle classes that such as them represented do not get mentioned to often, but I really identify with them, possibly because of my possible descent from Medieval Merchants. Just because a person didnt have a Title even in the Middle ages, it didnt mean they were poor. Apparently when it came to treating wounds Medieval phyicians were fairly competent. What caused most fatalities was not Lack of Medical treatment or even the Injury itself, but most often infection. Woolen clothing was a major cause, or so I'm told by someone who knows more on the subject than I.
I would like the visit the Middle Ages but I certainly wouldn't have wanted to live them. Though I do think Medieval people were a lot tougher and more Resilient then us.